The planet the next generation inherits is going to be drastically different than the one we currently live on. Greenspaces are disappearing, the climate is changing and we are losing species at a rapid pace. In fact, scientists say we are currently in the worst mass extinction period since the disappearance of the dinosaurs. But let’s stay positive! There are plenty of passionate and intelligent groups and individuals working to keep these species alive. Furthermore, there are plenty of ways concerned individuals can get involved as well. Orangutans play an important role in their environment by feasting on fruit and spreading out the seeds around the ecosystem. Their long powerful arms help swing their nearly 200-pound bodies from tree to tree. Unfortunately, the amount of trees they have to swing from are decreasing at an unsustainable pace. There are two species of orangutan, Sumatran and Bornean. Both are listed as critically endangered. The orangutan population is impacted by deforestation, the illegal wildlife trade and hunting for bushmeat. Those wishing to support orangutans around the world can visit the Orangutan Foundation website. Options to get involved include donating, booking an eco-tour and fostering orangutans. Lemurs have been around for 70 million years, making them the longest living mammals on the planet. But their resiliency is being tested now more than ever. Fifty different types of lemurs currently inhabit Madagascar, 10 of which are critically endangered. Sadly, we have already lost some of them, including the giant lemurs which were said to be the size of gorillas. 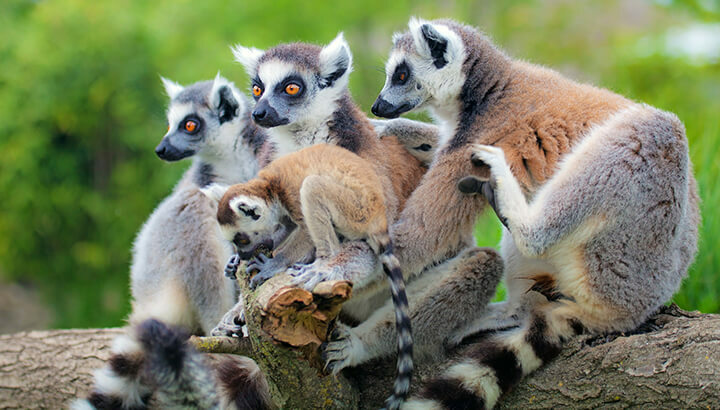 Those lemurs went extinct some 2,000 years ago when humans first settled in Madagascar. The Lemur Conservation Network provides many ways for individuals to get involved. These include supporting research, conservation and the work done by many zoos to help support dwindling populations. Sea turtles, such as the hawksbill turtle, have been on this planet for as long as a 100 million years. Unfortunately, many are endangered. The hawksbill turtle has been listed as critically endangered on the IUCN red list since 1996. One of the biggest threats to sea turtle populations is by-catch from fishing vessels. The World Wildlife Fund (WWF) is helping to supply fisheries with rounded hooks which do not latch onto sea turtles. You can help support WWF in this effort by symbolically adopting a turtle. These make great gifts! You get a little plush turtle toy and WWF has more funds to help fisheries switch to turtle-friendly gear. Everyone wins! All five species of rhinos are at risk, thanks to a culture that believes their horns have great value. Illegal poaching is causing rhino populations to dwindle — and fast! There is hope, however. The white rhino was thought to be on the verge of extinction, but great conservation measures in South Africa have helped the species rebound. The Southern white rhino now has approximately 20,000 individuals. Sadly, the northern white rhino only has three remaining individuals. The Javan rhino is down to their last 60 individuals. The Sumatran rhino has a population estimated at only 225 to 275. Save the Rhino has numerous ways to get involved, including donating and volunteering at one of their offices abroad. Currently, polar bears are only listed as “vulnerable” and are not yet considered endangered. But as one of the species most impacted by climate change, there is much concern over their fate. As climate change reduces the amount of sea ice in their homes, polar bears have to travel longer distances to hunt and mate. There is also evidence that polar bears are returning to less Arctic environments and mating with grizzly bears. This could mean polar bears would go extinct (technically) by merging with other species of bears. 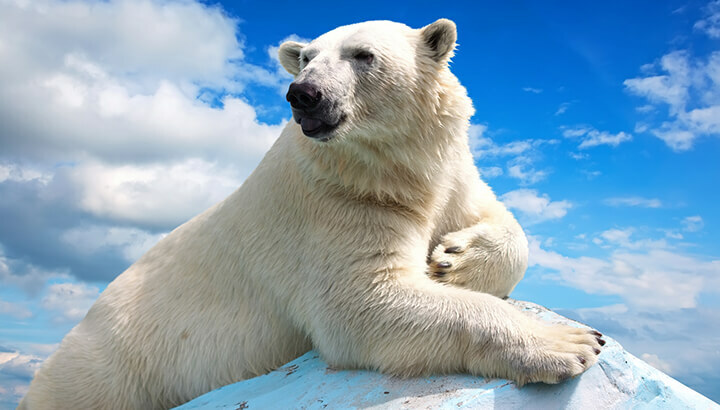 Polar Bears International provides many ways concerned individuals can get involved. In addition, any action taken to reduce greenhouse gas emissions is an action to help save the polar bears. Four different species of gorilla are listed as critically endangered. The Cross River gorilla located in the Congo basin is down to only 200 to 300 individuals. The biggest threat to the Cross River gorilla is poaching. Because of their low numbers, inbreeding also puts their population at further risk. It is not known exactly how many Eastern lowland gorillas remain in the wild, but scientists believe their population has decreased 50 percent in the last two decades. These gorillas are threatened by habitat loss — especially from mining operations. People also hunt them for bushmeat. The mountain gorilla population is estimated to be 880. Again, the main threats are habitat loss and poaching. These gorillas are also threatened by human diseases. The Western lowland gorilla is also listed as critically endangered. Experts do not know how many remain. Like their relatives, the gorillas are impacted by poaching and habitat loss. They have also dropped in numbers due to the Ebola virus. The WWF is on the ground in gorilla habitat. They work with local governments to promote sustainable development and ecotourism. As with sea turtles, they have a wonderful symbolic adoption program available. A nice plush gorilla toy delivered to you, your family or friends. The money raised helps go to support WWF’s efforts. These small cetaceans are the victims of bycatch off the Gulf of Mexico. As a result, vaquitas (also known as “small cows”) are down to under 60 members. Fortunately, unique plans are underway to utilize dolphins to help locate the vaquita population. Scientists want to move them to secure pens in order to protect the remaining individuals, though there is some concern that they won’t survive captivity. It is really down to crunch-time for this species. Some experts predict they might not last another five years. You can stay up to date with the latest efforts to save the vaquita population by following savethevaquita.org. The Cheetah Conservation Fund provides numerous ways to get involved, including volunteering, donating or purchasing some cheetah-branded products for yourself or others. Leopards as a whole are listed as a vulnerable species, but the subspecies snow leopard is endangered. Experts estimate that there are as little as 4,000 to 6,500 remaining in the wild. Researchers believe that climate change could potentially decrease snow leopard habitat by up to 30 percent. This is in addition to the increasing loss of range that has come with human encroachment. Snow leopards are also often killed by local farmers who wish to prevent them from eating their livestock. The most endangered member of the species is the Amur leopard, which is down to just 60 members. Luckily, there are ways to help. 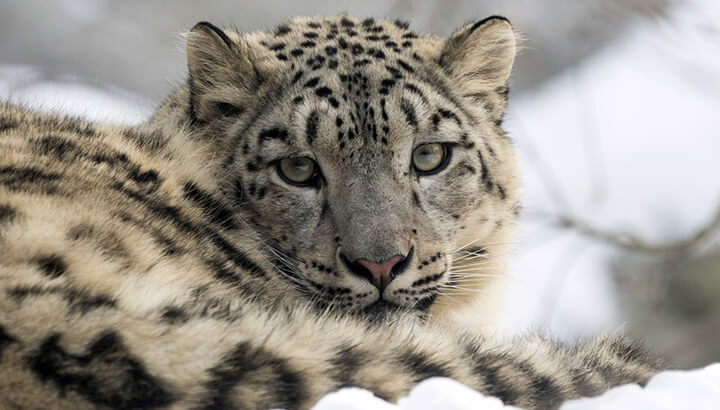 With their iconic appearance, symbolic snow leopard adoptions through the WWF are very popular. Plus, they make a great gift. Researchers believe there are only 2,400 to 2,800 Sumatran elephants remaining in the wild. In the last generation, they lost half their population. That is a rate more extreme than what the black plague did to Europe. The drastic drop in numbers is due to habitat loss. Two-thirds of their lowland forest habitat was lost in the last 25 years. Many conservationists believe that if action isn’t taken soon, we could lose the species. The Rainforest Trust has a simple way to save the Sumatran elephant habitat: buy it and preserve it. You can help their efforts by purchasing land yourself. An acre of preserved land is just $10. We may have already lost the south China tiger, as one has not been sighted in the wild in the last 25 years. Experts believe the next to go is the Sumatran tiger. They are down to 400 to 500 individuals. Like the Sumatran elephants, the rampant habitat loss on the Indonesian island of Sumatra is threatening their survival. Tiger populations have been frequent victims of illegal poaching and wildlife trade. However, global efforts are underway to improve their outlook. The Leonardo DiCaprio Foundation and WWF have teamed up with the goal of doubling the number of tigers in the world by 2022. Pangolins are sold more on the illegal wildlife black market than any other mammal in the world. Their scales are considered a sign of wealth and status in some places. They are also thought to have medicinal value. 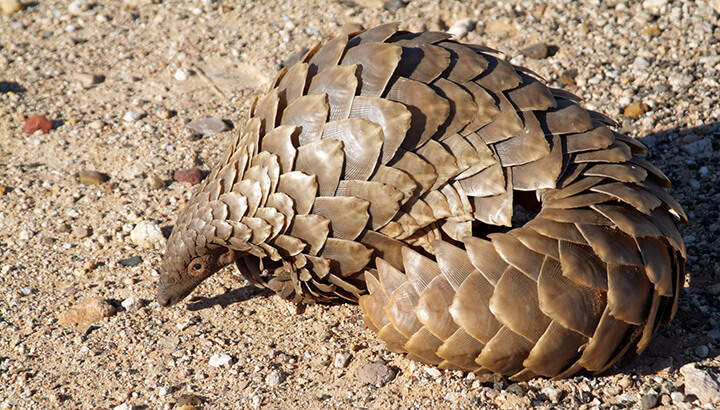 The WWF reports that between 2011 and 2013, officials seized 116,990 to 233,980 illegally traded pangolins. There is no way to tell how many are being trafficked on the black market. These animals are listed as critically endangered. If efforts aren’t made to reduce their trade on the black market, experts are worried we could lose the species. SavethePangolins.org provides numerous organizations to support, as well as resources to increase awareness. Gibbons are known as smaller or “lesser” apes. This distinguishes them from the great apes, such as chimpanzees and gorillas. However, like both chimps and gorillas, gibbon populations are critically endangered. Gibbons can be found in the rainforests of southeast Asia, but perhaps not for much longer. There are 19 species of gibbons, though population numbers are unavailable for 11 of them. The Eastern hoolock species is doing the best of any of them, with over 300,000 individuals. The Hainan black-crested gibbon is faring the worst, with only 25 remaining. People can support the ZSL Institute of Zoology, which is working to protect gibbon populations. We just discovered saolas not too long ago, yet they’re already critically endangered. Also referred to as the Asian unicorn, the saola was only discovered in 1992. Little is known regarding the population numbers, only that seeing them is a very rare occurrence. Habitat loss in Lao and Vietnam are the biggest threats facing saolas. The Saola Working Group was formed with the intent to save this newly discovered species before it is too late. You can stay up to date with their work through their email newsletter. Chimpanzees and humans share 98 percent of the same genes, making them our closest relative. This is why so many of us love chimps so much — we see ourselves in them! Unfortunately, chimpanzees are frequent victims of the illegal wildlife trade, including being sold as pets. Babies are often taken from their mothers, then exploited in wildlife tourism exhibits and sham sanctuaries. Habitat loss and diseases, such as the Ebola virus, have also devastated their population. Researchers believe their population to be between 172,700 to 299,700. They are listed as critically endangered. Because they are so adorable, and the most relatable animal to humans, symbolic chimpanzee adoptions are very popular with the WWF. 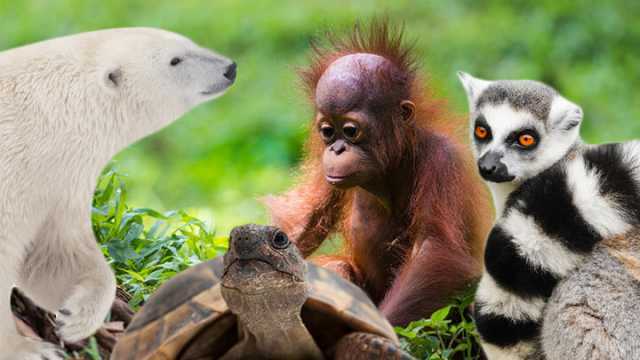 As you can see, many species on the planet need our help before it’s too late. If you have any other ideas of how to save endangered animals, let us know in the comments below. Hey Buddy!, I found this information for you: "15 Animals That Will Be Extinct By 2050 If We Don’t Help". Here is the website link: https://www.thealternativedaily.com/species-that-will-be-extinct-by-2050/. Thank you.